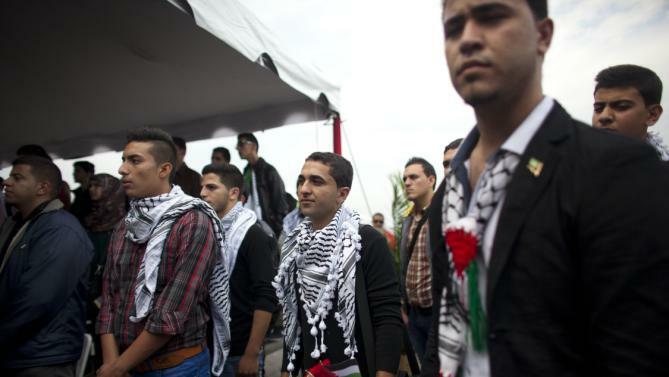 The AP has a great report by Hannah Dreier (in Spanish here) on Palestinian medical students who get to Caracas, scope the place out, and make a b-line for Maiquetía to get back home. Initially, the aspiring doctors were delighted to receive the scholarships named for Arafat, the late chairman of the Palestinian Liberation Organization. Many were escaping refugee camps, or leaving behind Gaza, which was ravaged last summer by a conflict with Israel that left more than 2,000 dead. But the students who dropped out complain that their first year consisted only of Spanish language lessons and indoctrination about Venezuela’s 16-year-old socialist revolution. They say they were surprised when their teachers presented a curriculum centered on community health and worried when doctors from other institutions warned that their education wouldn’t meet international standards. 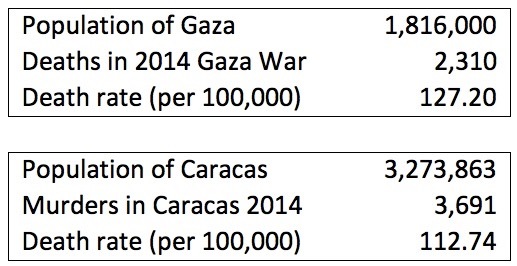 A bit of a back-of-the-envelope calculation shows that on security grounds alone, these Palestinian kids aren’t much safer in Caracas than they would be back home.